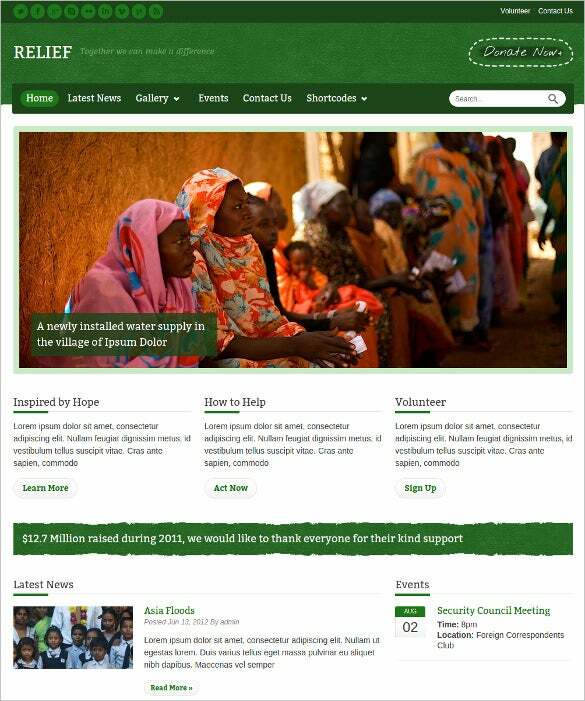 Non-profit websites usually belong to charities and their like, and is a niche industry. 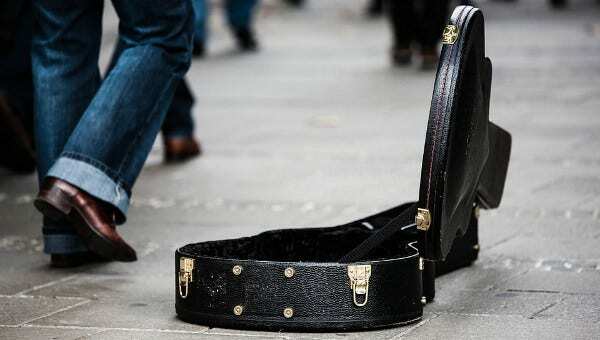 Thus, most general themes don’t apply to them. 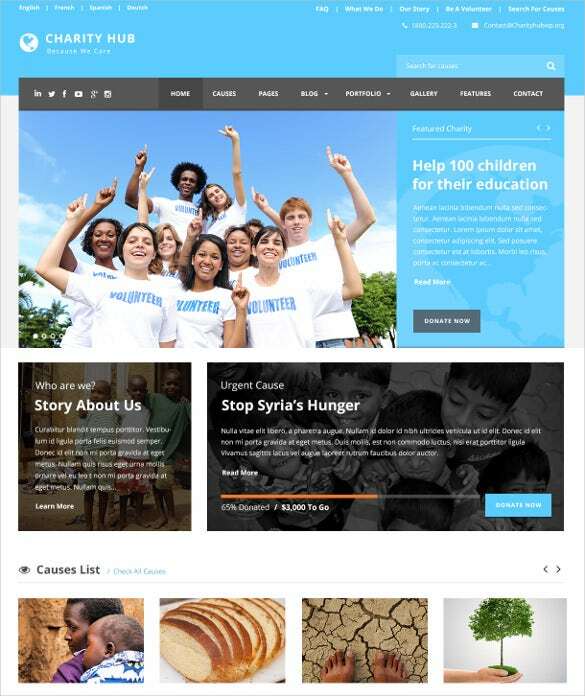 Thus, WordPress templates for non-profit websites have an easy set-up guide included in the package, along with video tutorials. 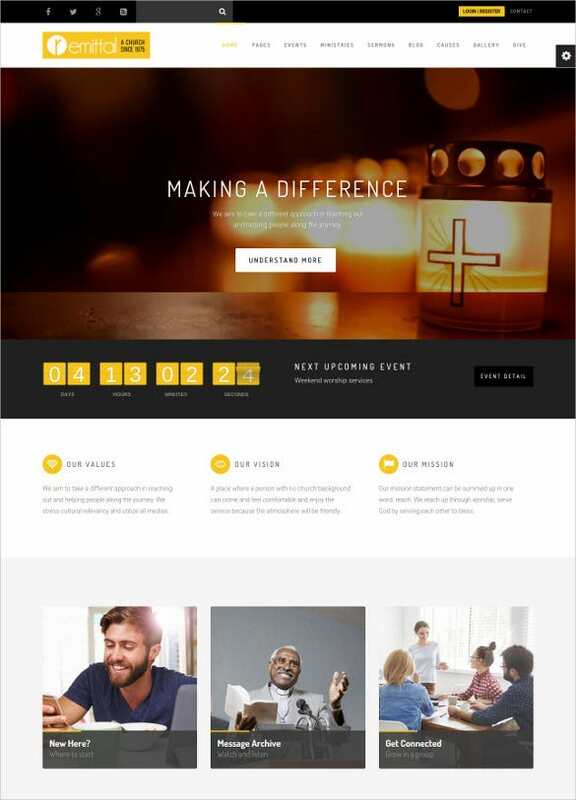 The templates come with event counters, parallax background video and much more! 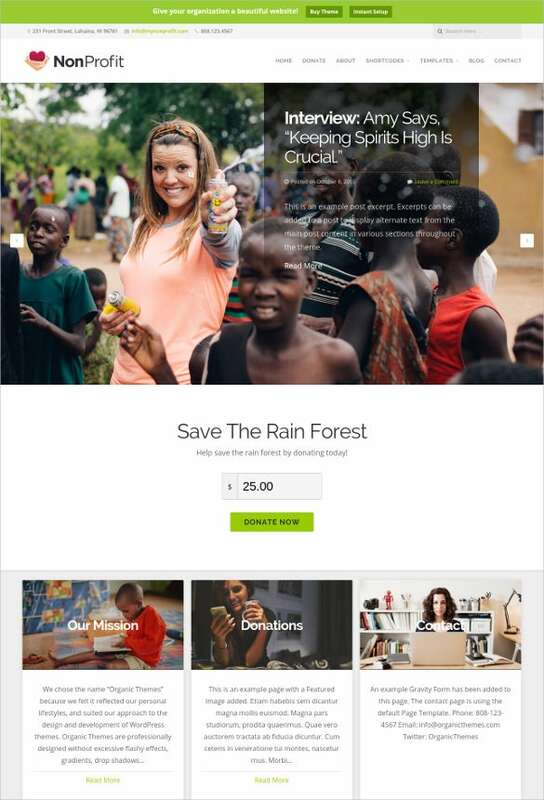 There are filter bars, ticketing options and even community event add-ons. 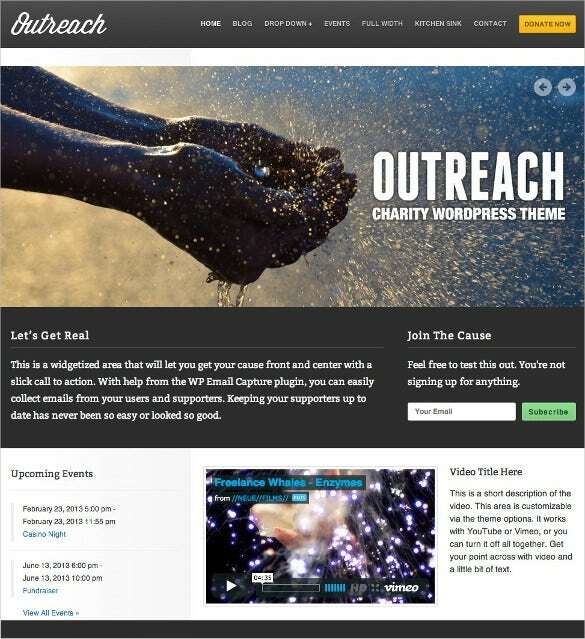 You May also See Non Profit Blog Themes This is a good WordPress theme option for non-profit organization and outlets. 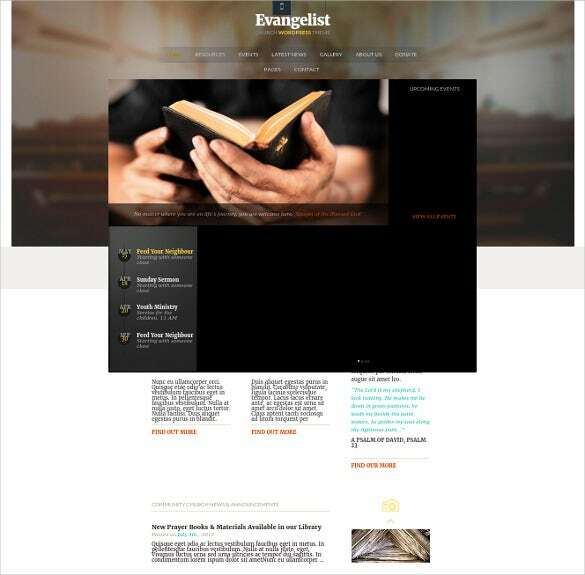 It is wired with features including the likes custom posts (for sermons), comprehensive icons set, layered slider, fully responsive design and layout. 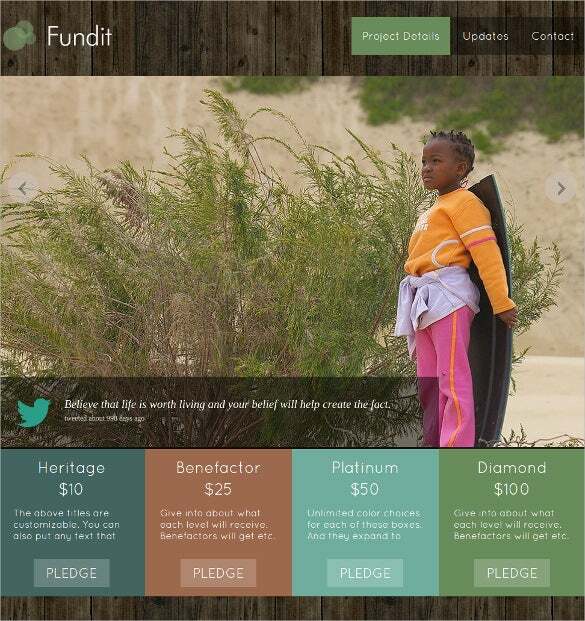 Also there are options added for pledging and making donations. 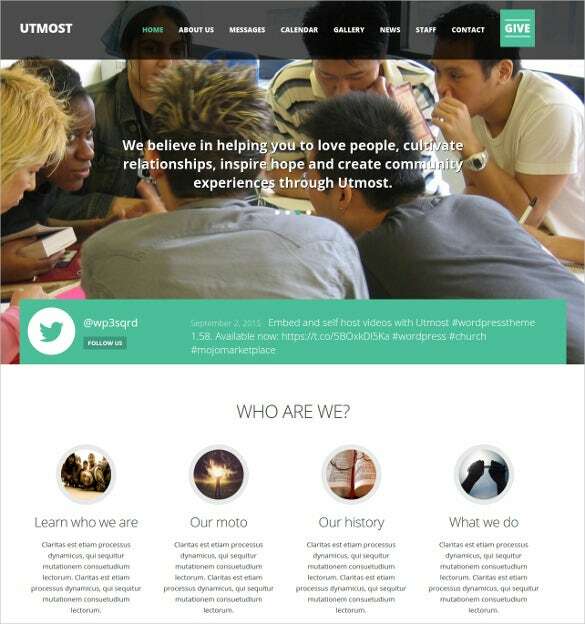 You can also see One Page WordPress Themes. 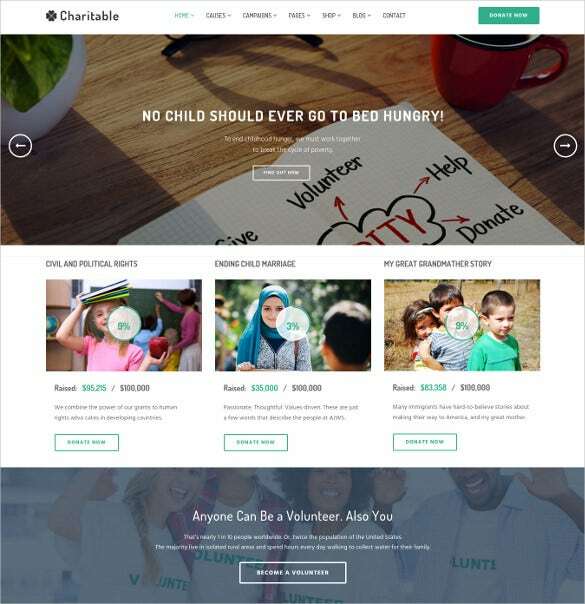 Charity responsive WordPress theme comes packed with powerful features like page builder, jQuery and CSS3 animation, parallax slider, WooCommerce support, responsive design, Bootstrap grid, social integration, Favicon support and a lot more, which makes it a perfect choice for charity, fund raising programs and consultancy websites. 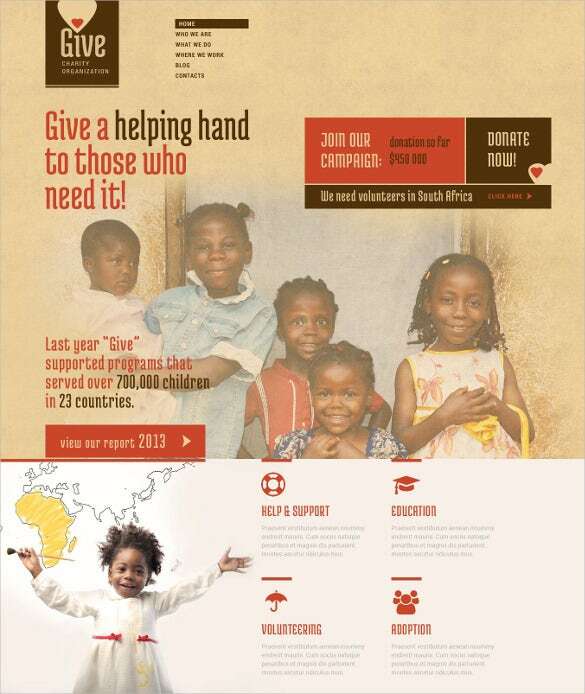 Download it now and enjoy free installation service. 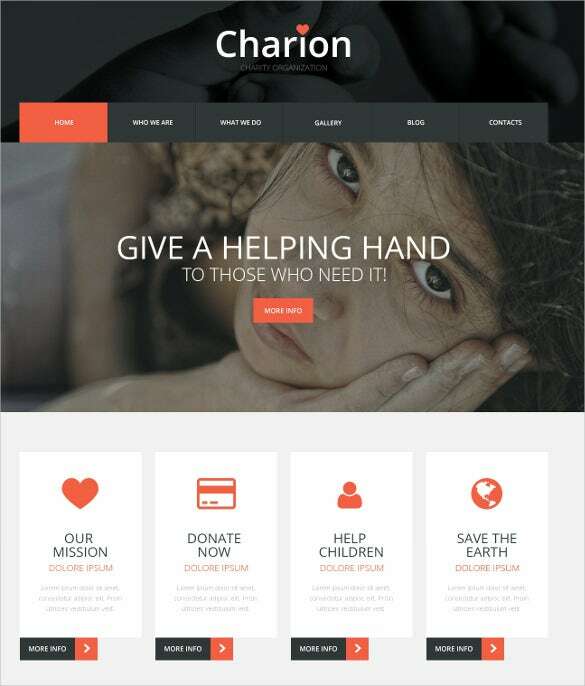 Charity+ WordPress theme has a fully responsive layout and comes with crossbrowser compatibility to ensure that your site looks good across all platforms and in all screen sizes. 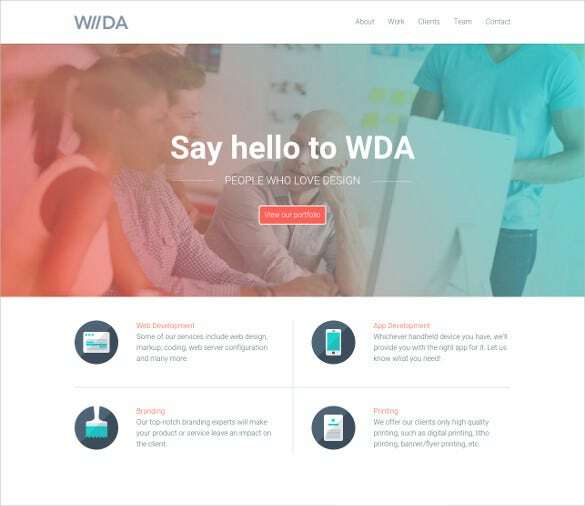 It includes font awesome icons, revolution and slit slider, sidebar manager, custom widgets and tons of shortcodes to help you. 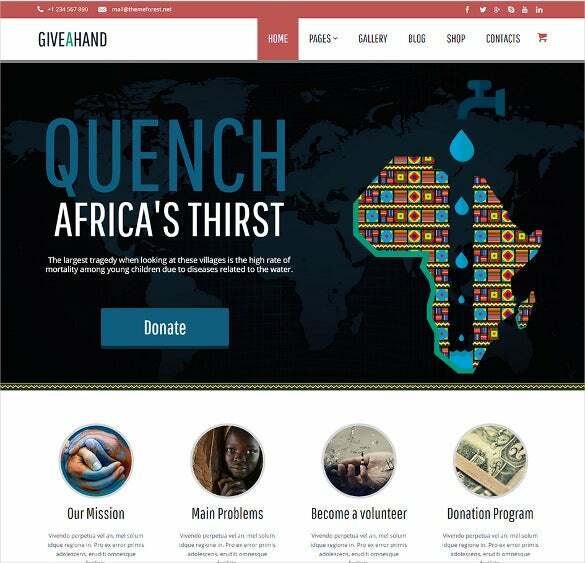 Download it to create awesome websites for charity, non-profit organization, fund raising events etc. 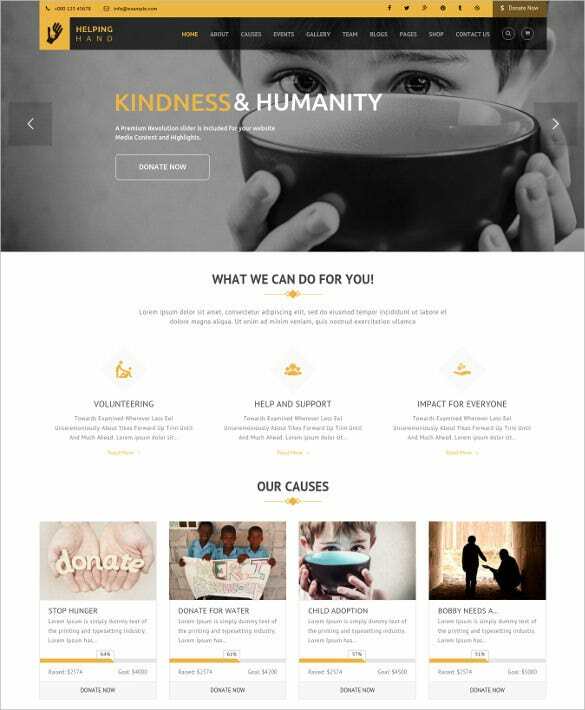 This specialized charity WordPress theme is another very good option which you could use for the website of your nonprofit organization. 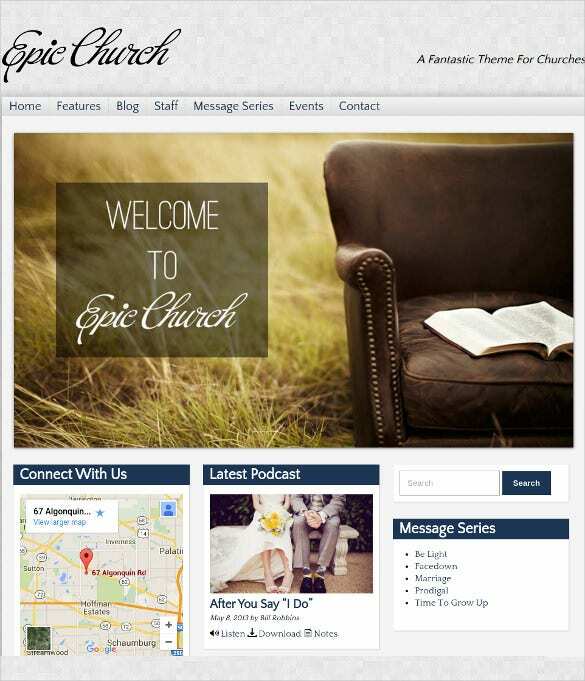 It is packed with all the necessary features which is a must for websites of this genre. 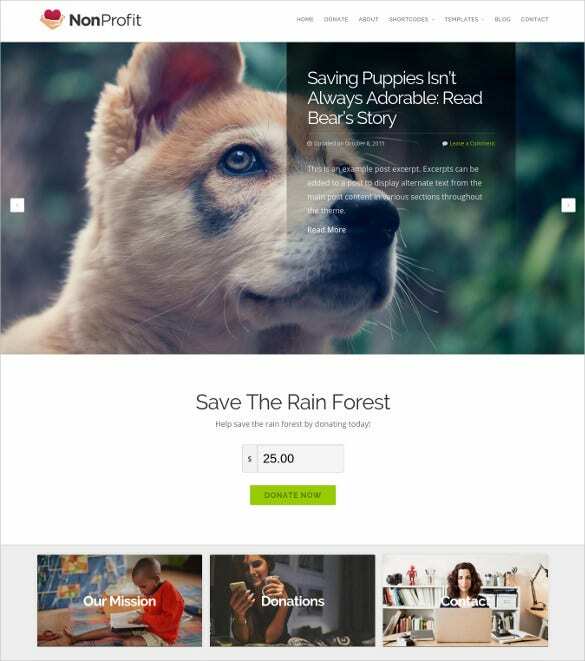 Headlining premium features of this theme are: like Soliloquy slider, post formats, WooCommerce plugin, widgetized pages, custom menu, responsive menu, etc. 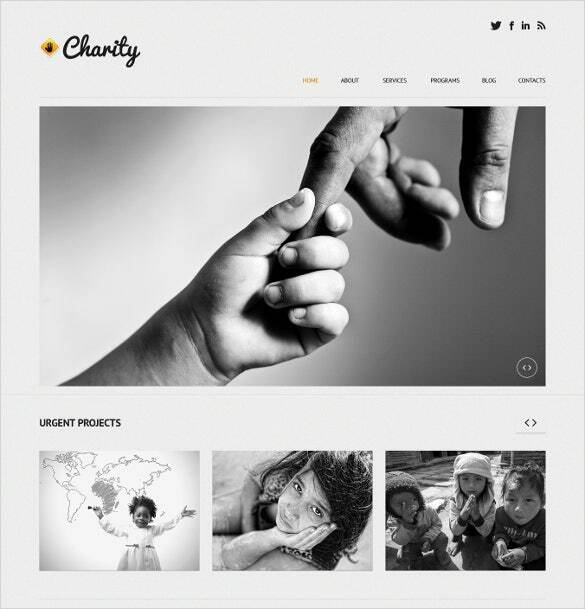 Charity responsive WordPress theme is designed with responsive font and comes with five different color schemes. 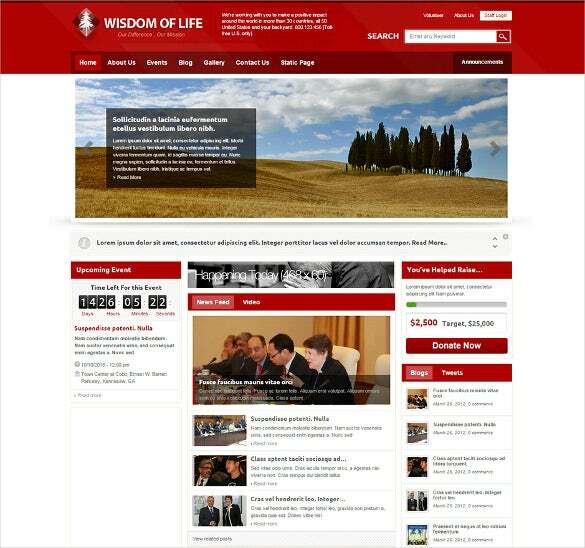 The detailed documentation of this theme ensures that you understand the purpose and use of the product quite well before purchasing it. 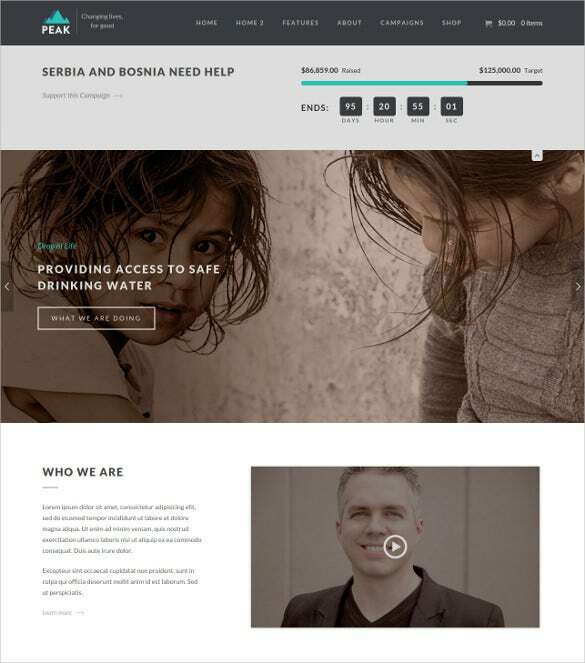 Download it to create premium websites for charities, NGOs, relief funds etc. 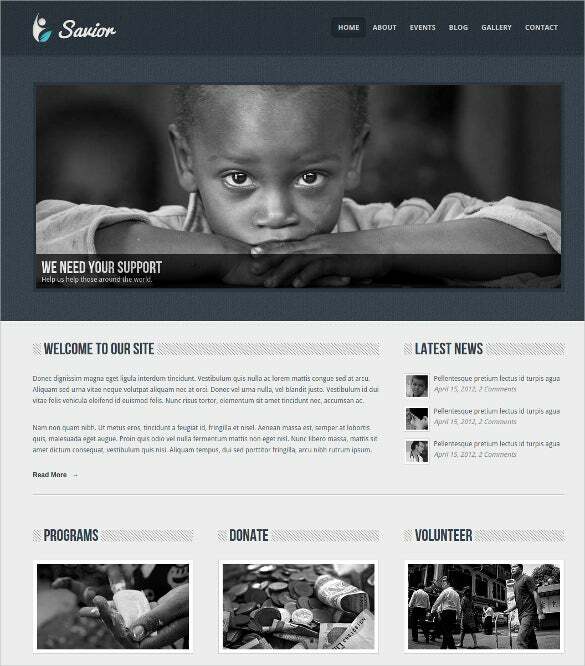 NGO and Charity theme ensures highly detailed options to setup the theme according to your preference. 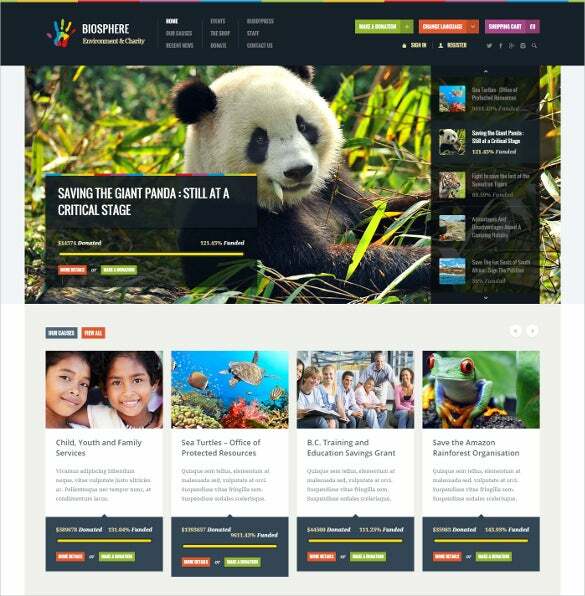 It includes events management, event count-down widget, Google maps integration, multiple widget areas, crossbrowser compatibility and also supports Google advertisements. 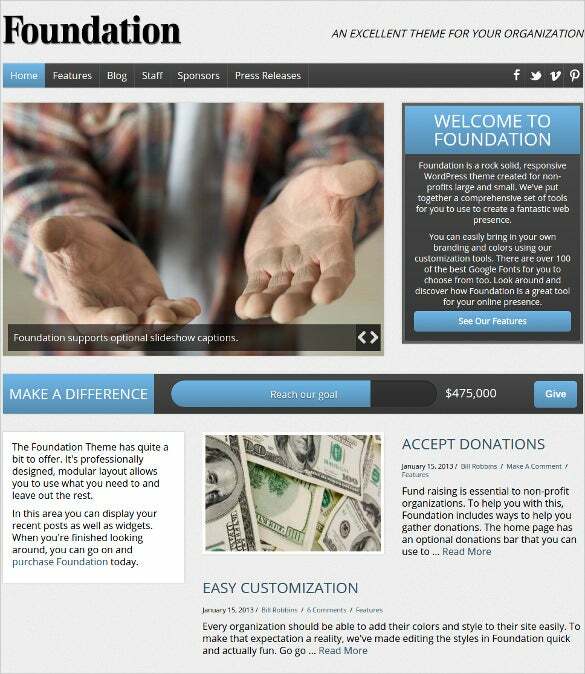 It is localization ready and has custom post type plugins for programs. 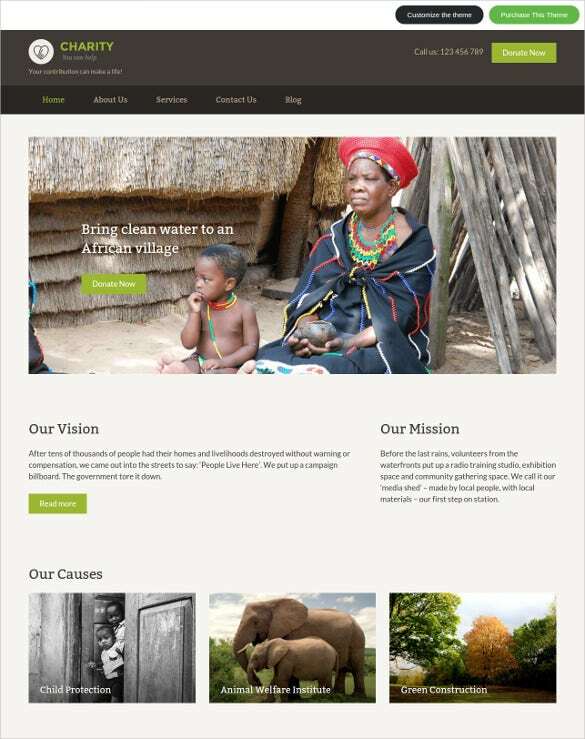 Download it to create websites for NGOs, business enterprises, charity events etc. 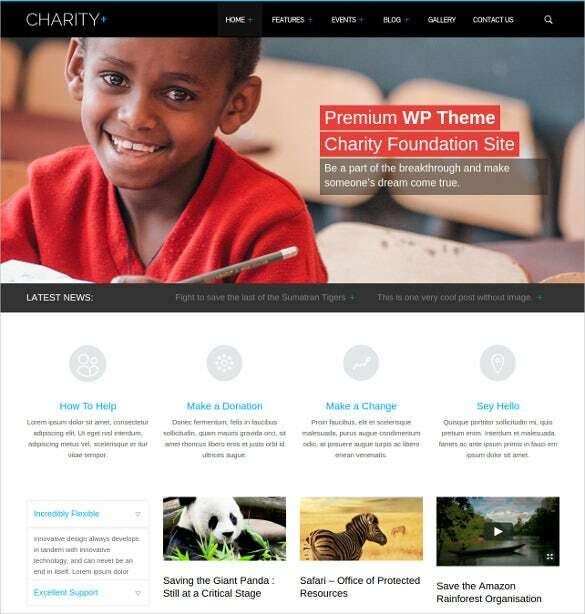 WordPress templates for Non Profit Website Themes also support page builders to create your own layout. 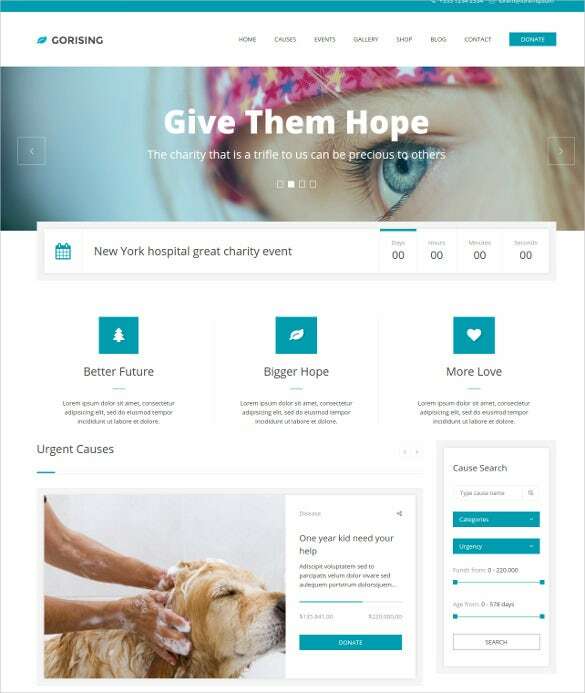 These also support cause management, event management, unlimited sidebars for all the information you want to display, and transition ready sliders too. 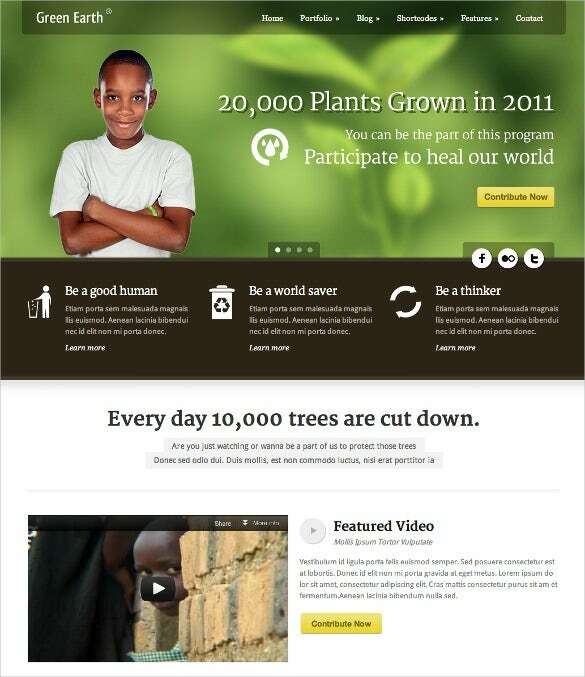 For organizations which have an e-commerce aspect, there are custom short codes for selling products. 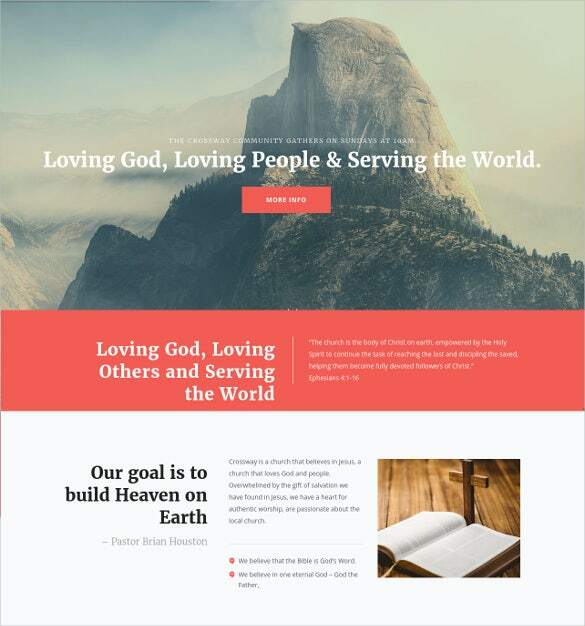 Animation is also supported, which helps you reach out to your customers in a visually-friendly format, as are TypeKit, Adobe Edge and Google fonts. 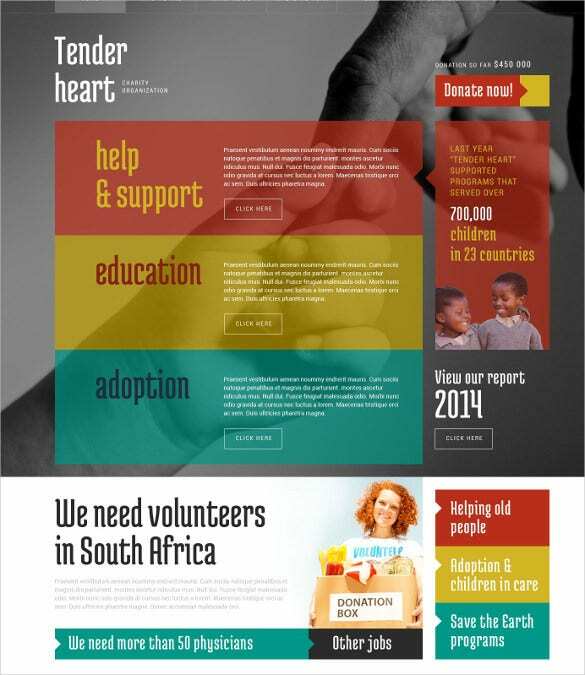 These templates have a displayable sponsors section and staff section, and the option to sign up for newsletters. 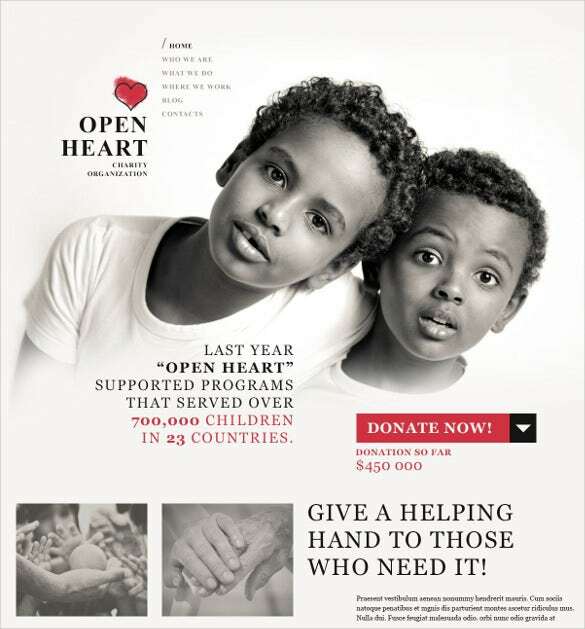 There is the customary donation button, and other customizable call to actions that you can use, along with an event calendar and a photo gallery! 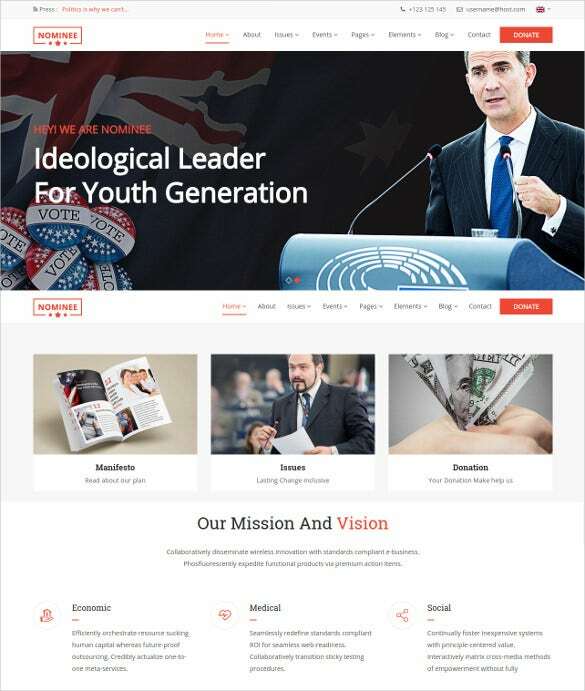 Social media integration is a given, though these templates have HTML5 markup and a filterable portfolio page template to go along with that.